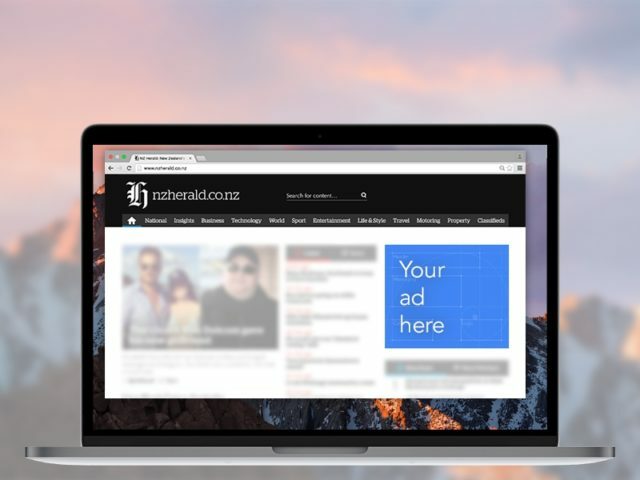 Your remarketing ads can show on any website that accepts advertising from the Google Display Network and in NZ this includes many of the most popular local websites like NZherald, Trademe, Metservice, Stuff and many more. There is a high degree of targeting flexibility and you can even filter your targeting to show only on specific sites and or exclude specific sites. At Adhesion, a lot of our clients find remarketing to be a very (very) cost-effective form of advertising for reminding visitors to purchase your offering(s) and increasing brand awareness. For any business with a website, if you're considering advertising online, our experts highly recommend investing in some remarketing. Google Remarketing is an ideal advertising tactic especially where the sales process is long and considered and competitive. Executed in the right way it can be a powerful tool to improve sales conversions and to raise your brand profile. What ad formats and sizes are used? Most remarketing ads are delivered in text and or image display formats and are managed from within Google AdWords. A growing number of ads are becoming animated including video formats. Image animation in display ads is usually achieved by using GIFs or HTML5. Display ad sizing options are determined by the spaces allocated on websites that accept the advertising. There is a large number of standard sizes and at Adhesion we normally recommend building display ads to the most common 4 or 5 sizes. It's quite simple really. Remarketing works by placing cookies on your website visitors device(s) when they meet your criteria. Their cookie ID is added to your remarketing audience list. You can have multiple lists with a range of different criteria. For example you may wish to target visitors that viewed a particular page or section on your website but didn't make a purchase or complete and enquiry form. Each cookie has a unique ID which is automatically added to your remarketing list. You can have multiple lists with a range of different membership periods, goals and criteria. There are a number of advertising controls including the period of time that a cookie ID stays on your remarketing list, impression caps on how many ads per day are shown to an individual and the ability to block ads on certain websites. You can also set criteria to control the targeting of your ads, for example: by age, gender, location and interests based on your browsing behaviour. There is a minimum threshold of 100 cookie ID's on each remarketing list before a campaign can become active. To be successful it's important to a) make sure your ad is highly relevant to what you know visitors are looking for and b) contains some form of enticement to encourage them back to your website. For example you could display a special discounted offer on that item. We’ve learned that with display ad formats, may people will not click directly on the ad but will be prompted and motivated to revisit the website through normally pathways (direct and organic). This makes normal ad metrics less relevant with display ads and we normally recommend using view-through conversion measurement which requires AdWords conversion tracking code. 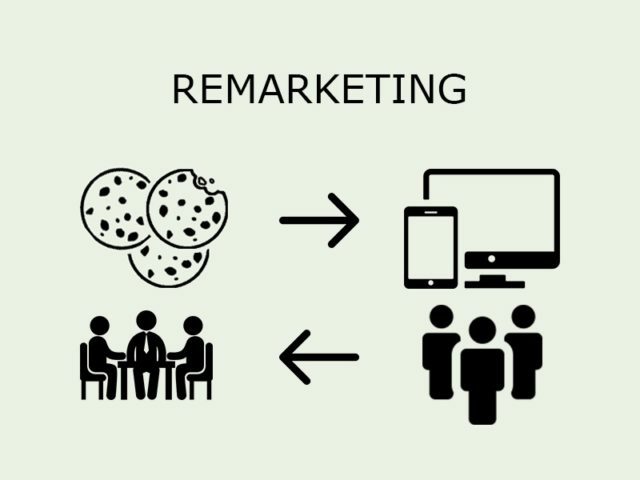 If you would like to find out more about whether remarketing is an appropriate tactic to add to your online advertising strategy then please contact us on 0800 ADHESION (234 374). There have already been 2 major changes in 2018, both of which give people more control of the ads they see, and therefore more power over advertising companies. Firstly, Google is beginning to roll out a feature whereby people can mute remarketing ads for 90 days if they are too repetitive or irrelevant. Secondly, Apple’s recent operating system release (macOS 11) introduces a feature called Intelligent Tracking Prevention. As the name suggests, people using the Safari browser will have any tracking cookies disabled after just 24 hours, so you can’t target them for long. The only way for a cookie to be re-enabled is if the user revisits your website. “But, wait. How will we be able to tell if somebody sees our ad and then makes a purchase after the first 24 hours?”. Don’t worry, Google is responding by updating their AdWords cookies so that everything (i.e. ‘conversion attribution’) will work as normal. However, expect to see some drops in activity from Safari users. How much of a drop? Well, to give you some idea, nearly half of mobile users use Safari due to iPhone being so popular, and slightly over half of all traffic is now mobile. Facebook remarketing works very similarly to Google remarketing, except that audience lists can be made from people’s Facebook User IDs and phone numbers (as well as their emails). You can then take these lists and generate smart lists of Facebook users called ‘Lookalike Audiences’. Put simply, Facebook generates an average user based on the people in your list, then creates another list out of Facebook users who are 99% similar to your average user. This is an impressively powerful feature for reaching potential customers. If you’d like to know more about Facebook advertising in general, check out Adhesion’s Does Facebook Advertising Work and Google AdWords vs Facebook Advertising blog articles, or contact us for more information. Where is the best place to advertise your business? How to advertise your business online Does Google AdWords Work? Does Facebook advertising work?